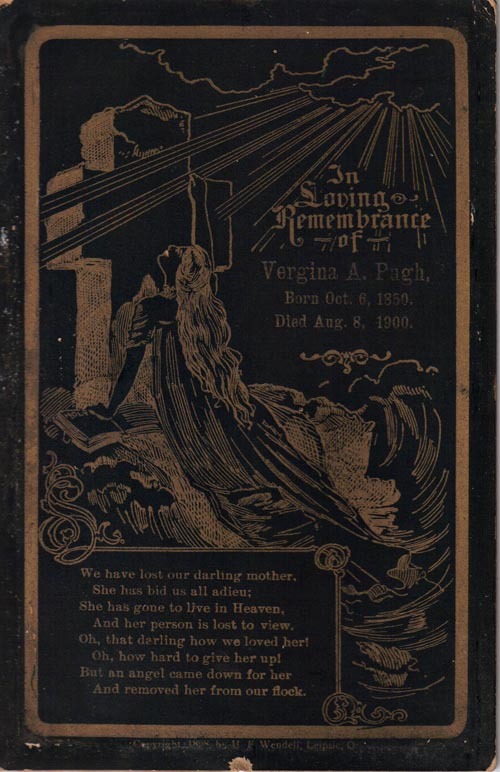 In Loving Rememberance of Vergina A. Pugh. Born Oct. 6, 1850. Died Aug. 8, 1900. Are you looking for PUGH ancestors? If so, we suggest posting a query to our Community Message Board to get assistance from other researchers.